"Let's take a step in protecting our environment today!" 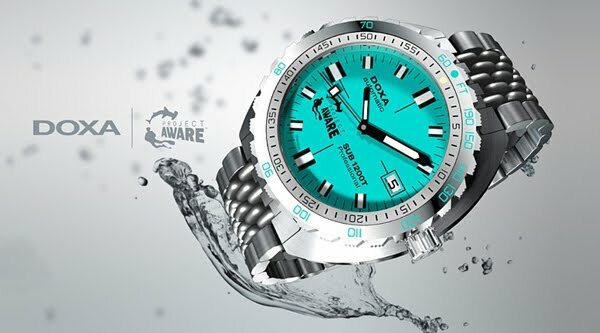 We are happy to announce that the project Aware foundation has decided to continue partnering with DOXA watches Inc. to equip the Project Aware team with DOXA watches, also to offer a limited edition of a new DOXA SUB1200T, where a portion of the watch price will be donated to the Project Aware foundation to support in protecting the oceans. An additional $200.00 discount endorsed by DOXA will help make this new model the most affordable DOXA SUB today. "The Oceans generate 70% of the oxygen of the planet and they deserve our attention"
Over the past two decades of underwater conservation we've learned that divers are true leaders in ocean protection. We're ocean heroes numbering in the millions across the globe. We believe together our actions will make a huge impact and will help to rescue the ocean. We're focusing in on two major ocean issues – Sharks in Peril & Marine Debris (trash in our ocean). Truly, there are many conservation issues converging on our ocean planet at once, but we're concentrating on these serious problems where scuba divers are uniquely positioned to directly and positively affect real, long-term change in these two areas.